If you are looking for a date with history, the Belgrade Fortress is an ideal place to fulfill your dreams. A majestic and timeless piece of history, the fortress is in Serbian capital city of Belgrade's municipality of Stari Grad. 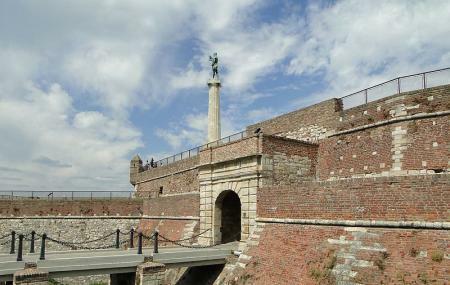 Built in 279 BC, the fortress consists of the old citadel and Kalemegdan Park on the confluence of the River Sava and Danube and in an urban area of modern city. This historical piece is open every day, twenty-four hours a day and is an ideal place to visit with your friends and family to discover the county’s history. A popular tourist destination, the fortress offers a picturesque walking trail nestled in a majestic natural ambience. Don't miss the Theresa Restaurant at the end. Get some pizza and a coffee in the terrace. Enjoy the Zoo animals too. If you don't fell like walking back, you can exit down from there and catch the tram back to the center. If you do not have tickets, you can buy them on the tram. Exact change only. This is a place that you should visit more than once. One of the biggest fortresses, also very beautiful. Only credible tourist attraction in Belgrade. Good bar, but the park needs a litter picker and someone needs to have a word with the guy with the hose, fixtures can't grow. You could really spend a whole day or more learning about everything here, there's so much to it. The church is super interesting, the views are beautiful, seeing all the different parts influenced by different empires is fascinating.